Roof Inspection - Baker Roofing & Construction Inc.
One of the most common questions a roofing company receives is whether a client should repair or replace their roof. Usually, the answer depends on several factors such as the type of roof, the extent of damage, the slope or pitch of the roof, and the roof’s age. That is why it is best to leave the decision up to a professional roofer. Baker Roofing & Construction Inc. will conduct a thorough roof inspection, present you with a complete report and estimate of repairs or replacement. Our qualified roof inspectors walk the entire roof area identifying and photographing all observed deficiencies and documenting what they find. 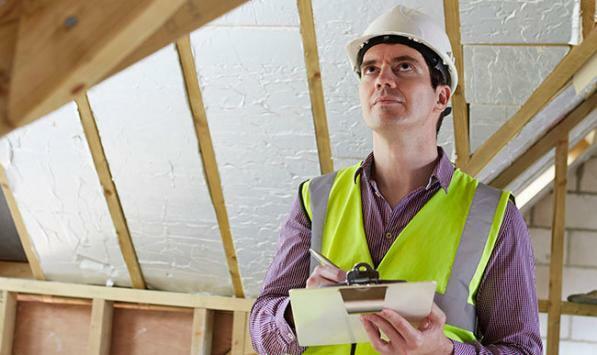 The roofing expertise of our inspectors allows them to find not only the obvious roof deficits, but also the not-so-obvious, which could eventually cause significant problems and possible untimely failure. When properly maintained, a roof can have can have a very long lifespan. A well-maintained shingle roof can last 20 years without needing to be replaced, while the lifespan of a tile or slate roof can be more than 50 years. A roof is an investment in your home, both for curb appeal and for protection of the interior of the home. It is important to protect your investment by having your roof inspected whenever you feel that maintenance is due or damage has been done. If you feel it is time for your roof to be inspected for damage or deterioration, don’t hesitate to call Baker Roofing & Construction Inc. for a free inspection and estimate. Our professional staff of inspectors and roofers is ready to ensure your roof gets the care it needs.